This listing is for one glove. Linen Glove is the centerpiece of your kitchen! Comfortable, durable and useful kitchen accessory! The Kitchen Glove made from linen and cotton mix, easily can be washed. Designed to keep hands safe and cool while retrieving hot items. 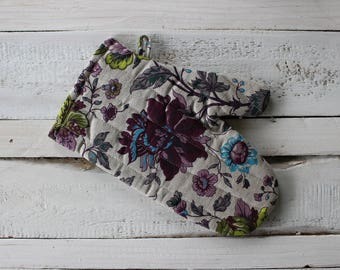 This kitchen glove is a wonderful gift for him and her. It is very useful for cooking! 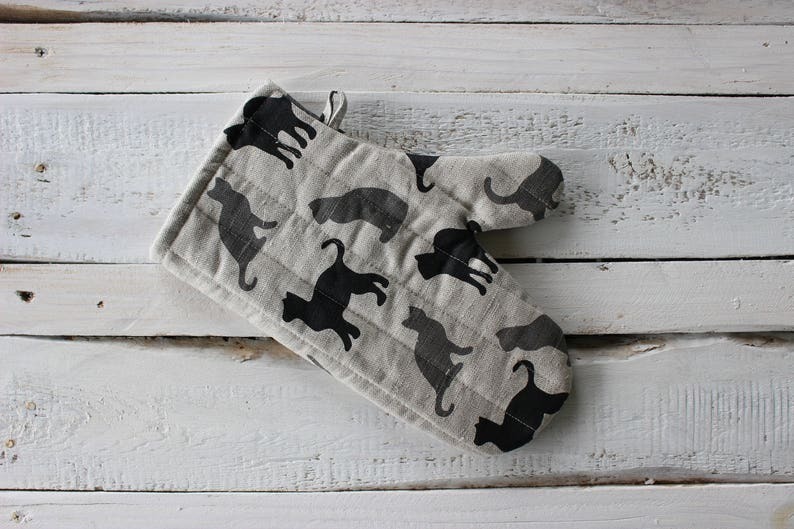 Size: oven mitt 31x21 cm, 12,2"x8,2"
If you want to have a set we offer an apron with cat pattern: https://www.etsy.com/listing/125838431/ready-to-ship-linen-apron-with-cat? 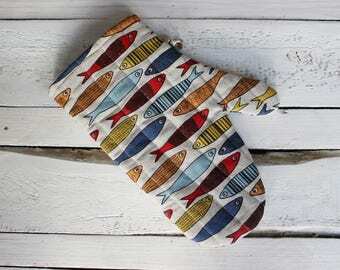 Nice oven mitt, very cute.